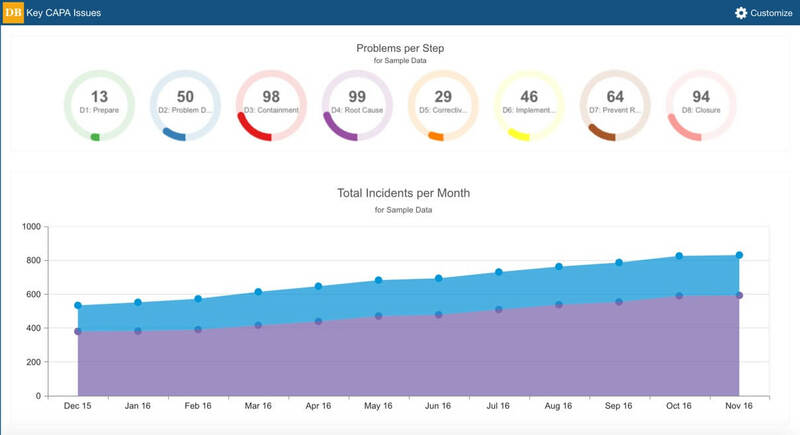 See your FRACAS data come to life in an actionable, impactful format. The Relyence FRACAS Dashboard provides an at-a-glance overview of your FRACAS related metrics. 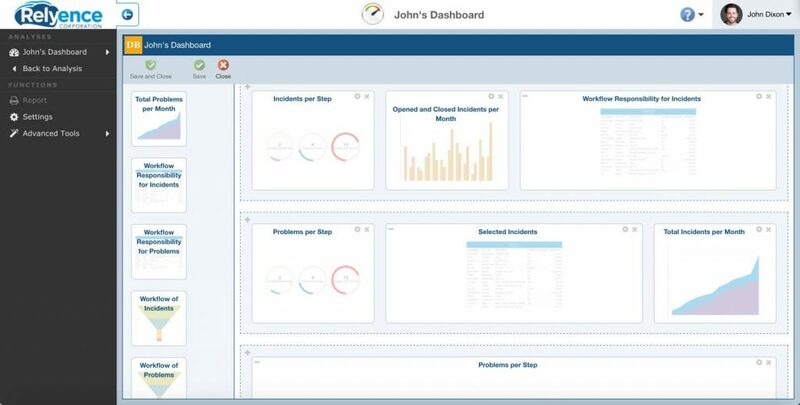 Combining all the data you need for quick assessment, the Dashboard offers the ability to monitor and manage your FRACAS process with efficiency and effectiveness. This focused overview enables you to quickly gauge system health, empowering you to react proactively to maintain your reliability and quality objectives and turn insight into action. The Relyence FRACAS Dashboard gathers and organizes your FRACAS data to present a holistic overview of your system, product, or process. You can use the Relyence FRACAS Dashboard to view tasks that are assigned to you, track the progress of problem resolution, and slice-and-dice an array of other reliability and quality metrics. Useful for managers, analysts, engineers, designers, or any team member, the Relyence FRACAS Dashboard allows team leaders as well as contributors to gather information in real-time and react to keep reliability and quality objectives on track. While the Relyence FRACAS Dashboard provides a high-level overview, the underlying data is always available at your fingertips with the click of your mouse. The Relyence FRACAS Dashboard’s drilldown feature takes you from a chart, table, or graph directly to the corresponding analysis information. Notice that a Problem has now been assigned to you? 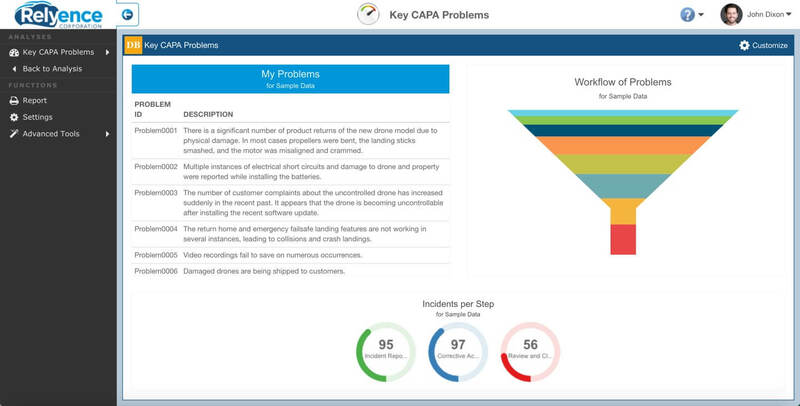 Click on the Problem in your Dashboard to access the complete Problem Report and accompanying information you need. Notice that an Action is now overdue? 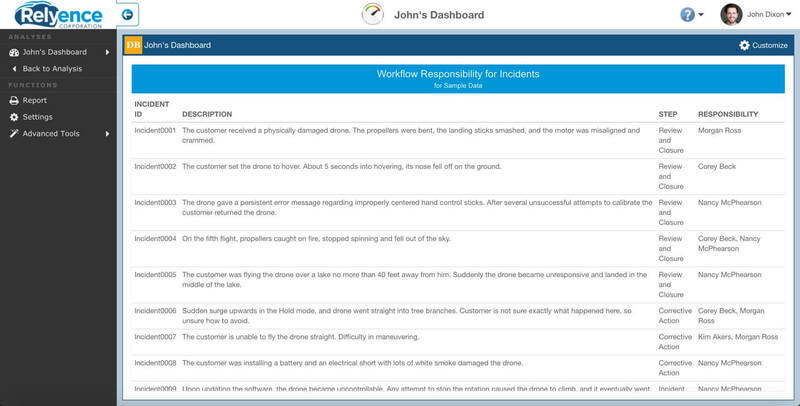 Click on the Dashboard item to go to the Incident to see the team member responsible. Use the Relyence FRACAS Dashboard to show the high level information that you require and then drilldown to see the underlying data. Relyence FRACAS' Dashboard Designer allows you to drag and drop widgets on the palette, positioning and sizing them as you desire. The Relyence FRACAS Dashboard is completely customizable, so you can create a dashboard suitable for your needs, or create any number of dashboards. You can define the look and layout of your dashboards, as well as specify properties of the various charts and graphs displayed. You can combine data from other Relyence modules into a single dashboard for a comprehensive overview of system health. Open and Closed Incidents per Month: A bar chart of the number of Open and Closed Incidents broken down by month. Problems per Step: A series of gauges indicating the number of problems in each step of the workflow. Selected Incidents: A filtered set of incidents based on selection. Total Problems per Month: A stacked line chart of the total problems per month broken down by open and closed problems.